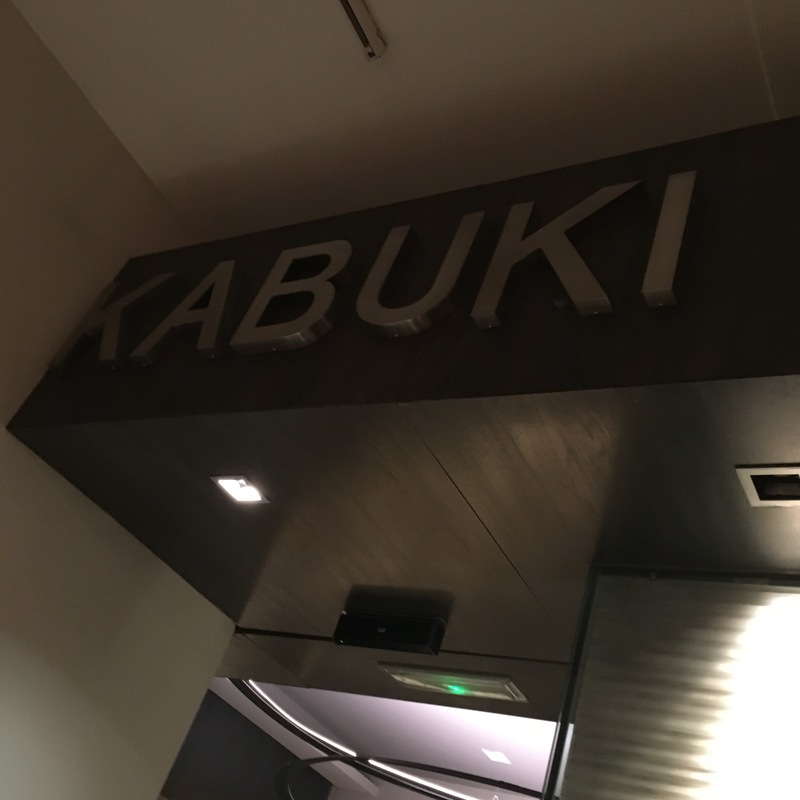 Last night a fella was lucky enough to have a quite outstanding dinner in Kabuki Wellington, one of the very best restaurants in Madrid or indeed anywhere. The cuisine is japanese with and mediterranean influences and is of superb quality. I really am not qualified to describe it in detail – all I can say is that if you have not been already you really have to go. I did not at any stage take any photographs of the dishes: I was too busy eating, drinking and generally making merry. Neither did I, and this is perhaps less forgiveable given the theme of this blog, have a very detailed look at the winelist and the list of sherries. I count a total of 54 bottles, including some very fine and rare wines, including vintages and limited releases, and although some are understandably expensive, there are also some absolute bargains. The sherries come first, and under the header “Our special wines”. No doubt about the importance they attach to sherries on this list at all. The wines are classified not just by style but also by centre – Jerez, Sanlucar, el Puerto and Montilla Moriles, a distinction I think is really helpful and which should be emphasized more. The coverage of styles and centres is first class. If you wanted to be hyper demanding you would ask for a couple of finos del puerto and a couple of amontillados de Sanlucar, but there is plenty to choose from as it is. The wines of Jerez and Sanlucar are of course perfect matches for the cuisine, although they compete here with an equally superb selection of champagnes, rieslings, burgundies and other chardonnays and, well, wines of every colour and stripe, from vinho verde to pinot noir. And maybe most importantly, in Silvia Garcia Guijarro they have a fantastic sommelier – a real star and the main reason I didn’t bother studying the wine list (which in retrospect, is a shame, since I would have been even more impressed). The first time I visited Kabuki I remember having a chat about pairings with her and was bowled over by how friendly, disarming but knowledgeable she was – a real pleasure to be advised and the pairings suggested were superb. Since then we simply put ourselves in her hands and the pairings this time were, as always, absolutely faultless, even brilliant.